The Crémants, the Spumantes and the Cavas are really making an effort, but their ‘méthode traditionelle’ (‘méthode champenoise’ can no longer be used for sparkling wines outside the Champagne Region) seldom reaches the high standard level of the “one and only”. What’s the story? Why are the bubbles in champagne more refined than those in sparkling wine? Why is the Chardonnay in the Champagne Region more prestigious than elsewhere? In short, why is champagne better than any other kind of sparkling wine? t’s wrong to assume that the strong and windy region is not the ideal soil for the most famous wine in the world. Its mesoclimate (climate of a small vineyard or even part of it) and the composition of the soil are the keys to the little miracle that takes place every year. The subsoil consists of a layer of chalk, 200 meters thick. Millions of years ago, this belemnite chalk layer had its origin in a big inland sea. The layer of oysters, sea urchins and inkfish is the perfect soil for champagne. The grapevines can easily penetrate the soft structure of the chalk layer and feed from the different minerals. The climatological circumstances in this region are also very important. 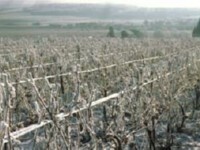 The temperature in that area averages 10.4°C, one degree more than the absolute minimum a grapevine needs to thrive. Luckily the vineyards lie up to 200 meters above sea level and are usually flanked by dense woods, which act as a windshield. 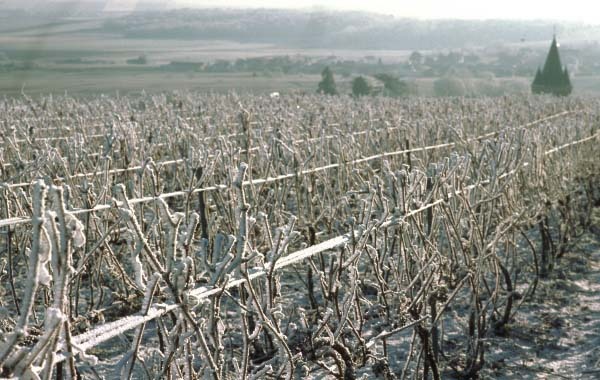 In this way the grapevines are more or less protected from spring frost. Champagne grapevines must struggle to survive, but that makes them so much stronger. It’s the secret of their superior quality. When talking to producers about the legal stipulations they have to comply with when making champagne, one often hears them complain. “There’s ‘liberté’ all over France, but for us” they mutter. And there is some truth in that, because the stipulations are very strict and there is rigid control. But the producers realize those rigid quality controls make a valuable contribution to the excellent character of the champagne and are a necessary evil. In the Champagne, the best grapes go to ... the champagne! In the Champagne region, the most famous sparkling wine in the world is made. The champagne makers use their best grapes for making their precious sparkling wine. In the wine regions where the crémants are born, this is somewhat different. A wine maker in Bourgogne for instance, will retain his best Chardonnay grapes to make the outstanding, non-sparkling, Burgundy wines. So in the Champagne region the best grapes go to the sparkling wine, in Bourgogne they go to the still wines.